Learn a defensive martial art. Children’s classes 5.00 pm Tuesdays​. Mondays 3.10 – 5.00 pm for younger students or learners, 5.00 – 6.30 pm for older students, $30 for around two terms without racquet or $20 with own racquet. Kids Nights: Mondays & Wednesdays 5.30-6.15pm Ages 8-13, bring them along - its fun! Robert Gemmel Martial Arts are a strong and dedicated group of Martial Arts enthusiasts lead by pioneer and Internationally recognised Grand Master Robert Gemmell. Fun, interactive music sessions for pre-school children and their parents/caregivers. Come along and enjoy the library after school on Wednesdays during term time. Starts at 3.30 - 4.15pm. Enjoy listening to some stories and then get creative with a simple craft. All ages welcome (pre-schoolers too). No need to book- just turn up. Picton Library’s Under 5’s programme is designed to enhance the library experience for 2-5 year olds. We share favourite or new picture books and construct simple crafts. Make sure your little person wears clothes you don't mind getting messy. Every second Friday at 10.30 am. No need to book. Train rides and model sailing boats. Every Sunday, all public holidays (except Christmas Day and Boxing Day) and all school holidays (weather permitting). Summer time 10.00 am - 4.00 pm, winter time 11.00 am - 3.00 pm. Make tasty treats, use fun kitchen gadgets, read and learn about recipes, nutrition and food from around the world. First Tuesday of the month, from ages 7 up to 11. From 3.30 pm to 4.30 pm. Cost $2 per child per session. Booking is essential prior to the date (there’ll be a maximum of 12 children per session). Kindy Gym set to music for under-fives. Mondays 10.00am - 11.00am during term time. $2 donation. Stay for a cuppa afterwards. Picton Kindergarten is located within the grounds of the Picton Primary School. Children can be enrolled for the following sessions (or a combination of sessions) dependent on availability. Monday, Tuesday, Thursday 8:30am to 12:45pm or 8:30am to 3:15 pm. Wednesday, Friday 8:30 am to 12:45pm. Picton Community Early Learning Centre is a non-profit community based organisation that was started by the community to help meet childcare needs. We continue to provide high quality care and education in a stimulating learning environment. The centre also runs an after school and school holiday (OSCAR) programme. ​Picton Preschool is family owned and operated. We provide a safe, nurturing and creative environment so our children can laugh learn and explore. Hours: 07.45am to 5.00pm. ​Playcentre philosophy is based on child-initiated play and recognises the parents as the first and best educators of their own children. Bring your children from birth to school age to Picton Playcentre. Open Hours: Tuesday 9.30am – noon and Thursday 9.30am – noon. 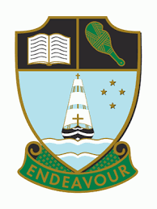 ​Queen Charlotte College is a co-educational secondary school catering for students in Years 7 to 13. It is a community college with strong relationships with local businesses and organisations. Waikawa Bay School is a semi-rural school near Picton that caters for students from Years 1 to 6. Principal: Willem Lampe.